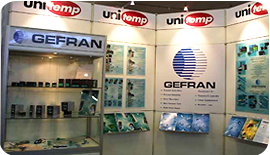 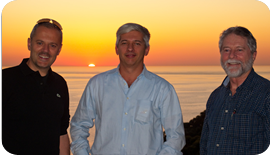 We, foremerly unitemp cc, were appointed by GEFRAN, Italy in 1996 as agency for the Southern African region. 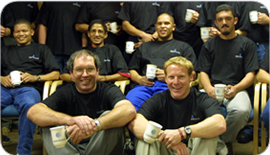 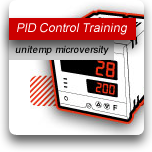 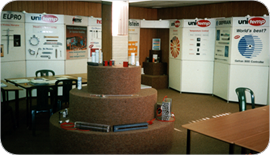 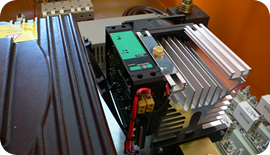 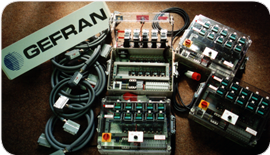 We supply their comprehensive range of process automation components & offer dedicated technical services + user training. 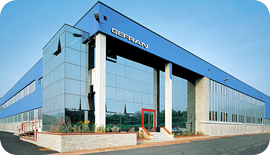 Gefran designs and produces complete automation systems, sensors & transducers for controlling & managing industrial processes across various industries. 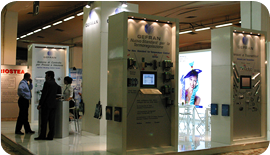 Through constant knowledge exchange & the deployment of Gefran products specifically into the Plastics and Packaging Industry, we continue to assist customers in optimising their technological processes, ensuring consistency and product quality. 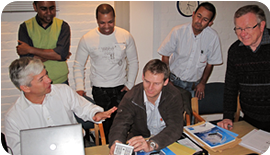 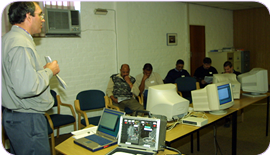 We offer technical workshops for electrical foremen, supervisors, instrumentation technicians across industries to ensure that machines with Gefran components are optimally tuned for best production output. 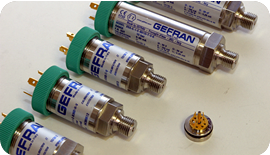 In addition to the Gefran range of products being sold from our Cape Town & Johannesburg branches, we have authorised resellers in most areas of South Africa. 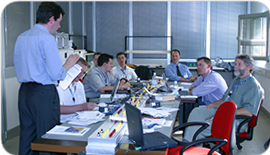 We empower our extended sales team with on-going training to ensure that professional advice and support is given to our clients. 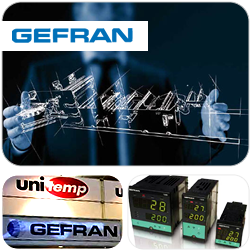 Our comprehensive GEFRAN product range includes process controllers | indicators | frequency meters/ counters/ timers | pressure- & melt-pressure-sensors | displacement transducers | load/ force transducers | 4 - 20mA/0 - 10V solid state relays, 3 - 32V SSRs, Power SSRs (Wattcor) & drives. 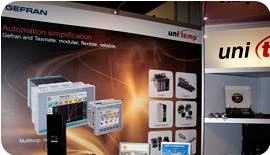 for simplification of automation tasks. 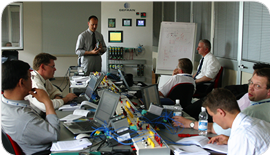 & technical insights from the GEFRAN principles. 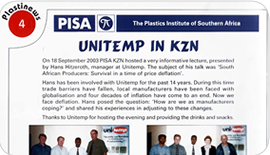 answers questions by plastics manufacturers at the PISA conference on competitive process control. 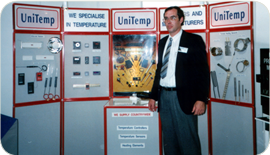 Dieter Bütow with the first UniCon: Hotrunner Control System with GEFRAN PID controllers.